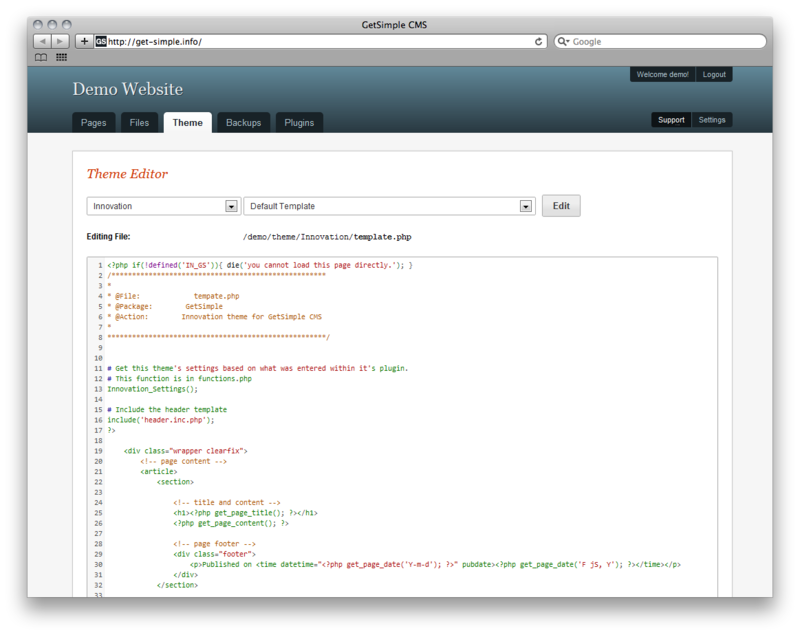 Want to quickly see how the open-source software GetSimple CMS works? 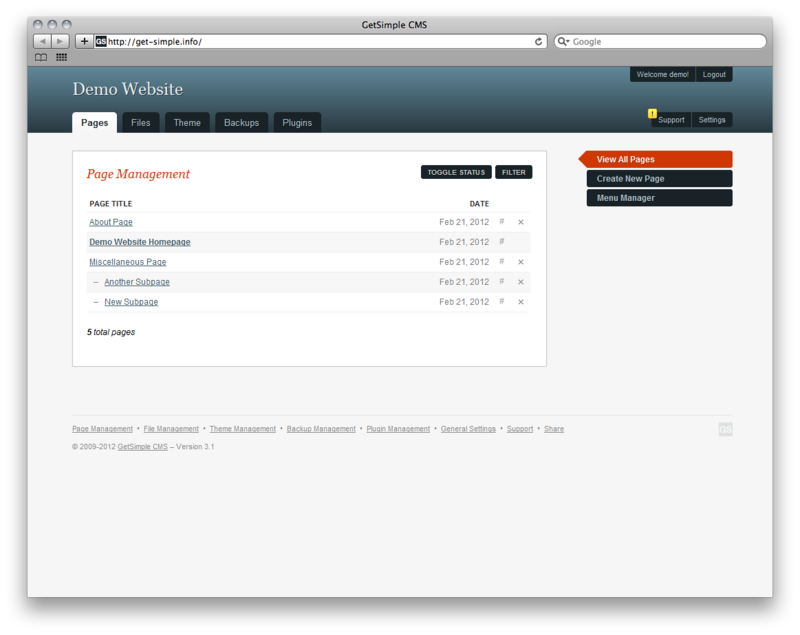 You'll find a free and updated demo installation of GetSimple CMS here. 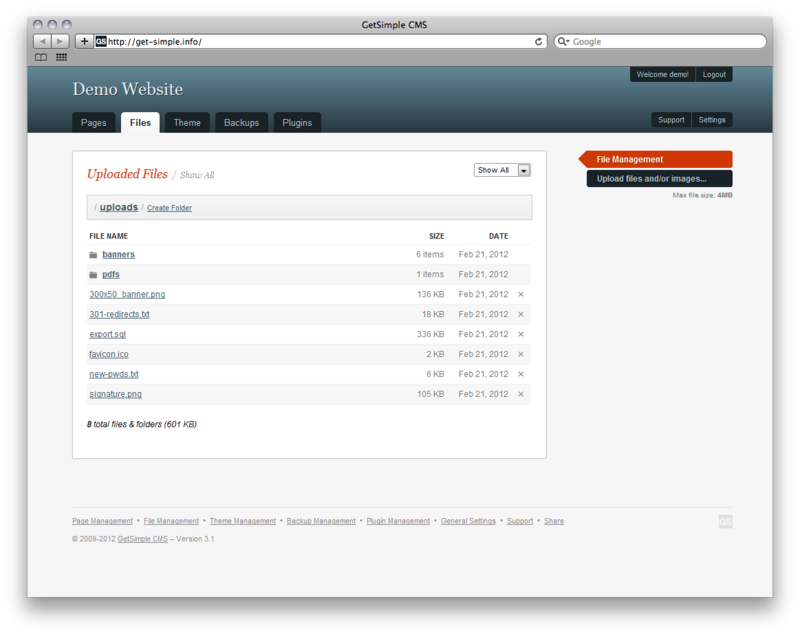 GetSimple CMS is a free open source content management system written in PHP. It was first created in 2009 by Chris Cagle and was meant to be as powerful as WordPress, but easier to use. Its features make it a good choice for any size websites, from small to large platforms, that to its flexibility when it comes to expanding the list of features through plugins and themes. Some examples of features include easy installation and customization through themes, friendly user interface and multiple user management. 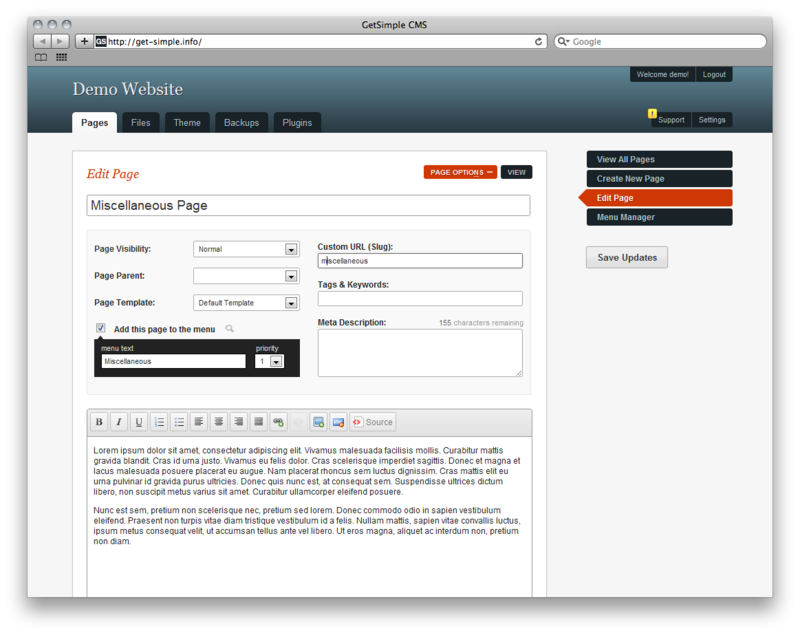 GetSimple CMS is XML based and doesn’t use a database to store information. If you want to get a more comprehensive review you can click on the links above to see our GetSimple CMS demo and test its features. The screenshots below will give you a preview of how the admin demo looks like and how easy to use the user interface is. 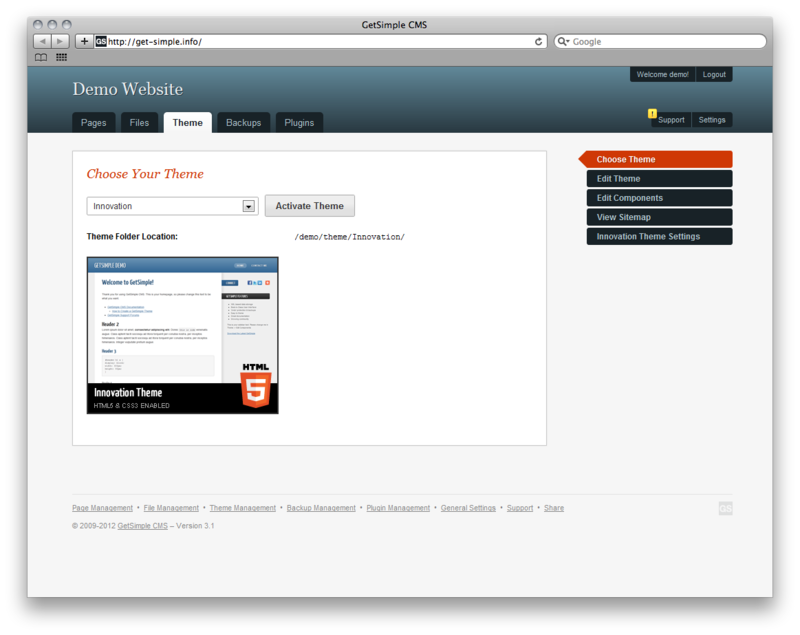 You can also click on the link below to download the latest version and create your own GetSimple CMS demo. The latest version available for download is 3.3.13 and was released on October 11, 2016. The team of developers is still actively working on improving its features and providing more themes to help users customize their online demo. 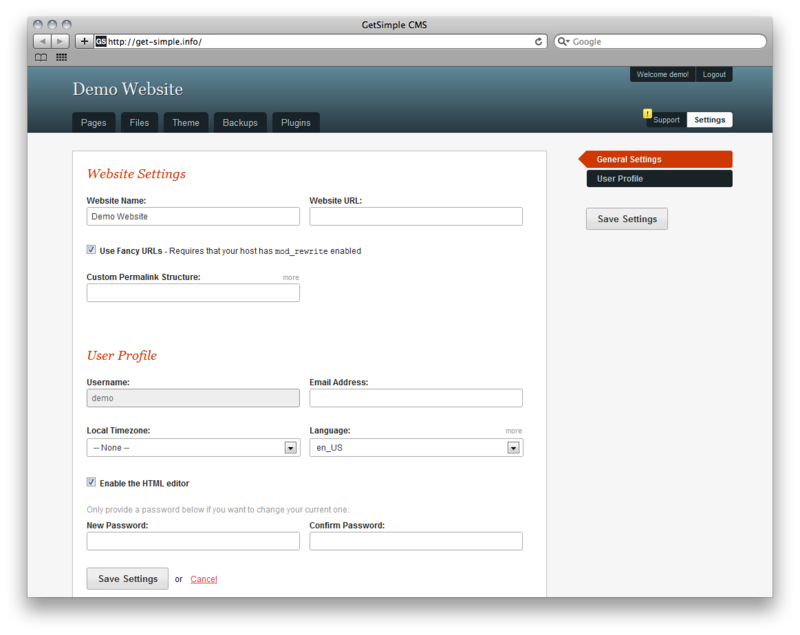 To successfully create your own GetSimple CMS demo you will need an UNIX/Linux host, PHP 5.2+ and an Apache web server. Keep in mind that no database is required and that Windows hosting has been tested successfully, but with minor limitations. 1.6 MB is a great tiny CMS. The captcha supports vision impaired persons.